These great value combo Orlando tickets are ideal if you are looking for the cheapest way to visit some of Orlando’s favourite theme parks including the parks at Walt Disney World Resort, Universal Studios®, Universal’s Islands of Adventure®, SeaWorld® Orlando, Aquatica™ and Busch Gardens® Tampa Bay. Unlimited access to all 6 Disney parks - Magic Kingdom Park, Epcot, Hollywood Studios, Animal Kingdom, Disney’s Typhoon Lagoon and Blizzard Beach Water Park for up to 14 consecutive days.for up to 14 consecutive days. Plus, FREE Disney Memory Maker worth $199 with Adult tickets and use of the Disney FastPass+ system which reduces queuing time. This is not included at non-Disney parks. Unlimited access to all 3 Universal Orlando Resort™ theme parks - Universal Studios Florida™, Universal's Islands of Adventure™, the all-new Universal’s Volcano Bay™ - plus select live entertainment venues of Universal CityWalk™ for up to 14 consecutive days. Unlimited access to SeaWorld® Orlando, Aquatica™ and Busch Gardens® Tampa Bay for 14 consecutive days. Unlimited FREE PARKING at SeaWorld® Orlando, Aquatica™ and Busch Gardens® Tampa Bay. FREE coach transportation from Orlando to Busch Gardens Tampa Bay on the Busch Gardens Shuttle Express. The amazing value 6-Park Orlando Combo Ticket is the cheapest way to visit 6 of Orlando’s best-loved Parks this summer. 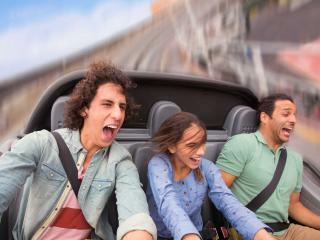 In addition to SeaWorld Orlando, Aquatica, Universal Studios, Universal's Islands of Adventure and Busch Gardens Tampa Bay, the ticket also includes admission to Universal's Volcano Bay™ - NOW OPEN! Aquatica™ - Aquatica is Orlando's whimsical, one-of-a-kind water park created by the team behind SeaWorld. From tube slides through playful dolphins to tranquil and rapid rivers and relaxing on white sand beaches, the fun is as endless as the sea. SeaWorld® Orlando - There is no place on earth like SeaWorld Orlando. 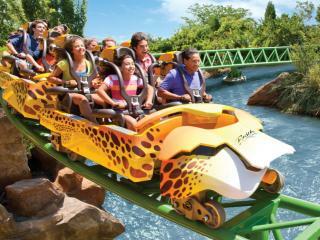 Here you can challenge thrill-a-second rides including the mega-attraction Manta and enjoy up-close animal encounters. The spectacular new Shamu® show, One Ocean® will leave you breathless and don't miss Mako, the tallest, fastest and longest coaster in Orlando. Busch Gardens® Tampa Bay - this amazing 350-acre park features an unrivalled combination of world-class thrill rides and beautiful wild animal habitats. 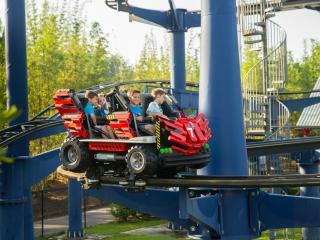 Brave SheiKra®, North America’s first dive coaster, takes you 200 feet up, then hurtles you 90 degrees straight down. Come face to face with endangered Bengal tigers and orangutans at Jungala and experience new heights like never before on Falcon’s Fury™ which is the first drop tower of its kind in the world. Universal Studios Florida™ - Immerse yourself in the next generation of blockbuster entertainment at Universal Studios™. You’ll enter The Wizarding World of Harry Potter™ - Diagon Alley™, encounter mischievous Minions, crash through Krustyland with The Simpsons™, and join forces with the TRANSFORMERS as you find yourself right in the middle of the action. 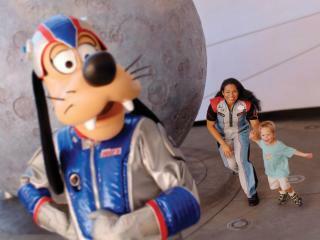 Universal’s Islands of Adventure™ - Journey through the legendary worlds of incredible heroes at Islands of Adventure. Explore The Wizarding World of Harry Potter™ - Hogsmeade™, come face to face with King Kong, battle villains alongside Spider-Man, go on a high-speed rampage with The Incredible Hulk, and flee hungry raptors in Jurassic Park™. Universal's Volcano Bay™ - Now Open - An all-new, adventure-drenched water theme park like no other, filled with both thrills and relaxing indulgence. Here, there’s no standing in long lines. No wrestling with tubes. No waiting for the fun to begin. Which means you spend more time drifting leisurely down a winding river, plummeting down a tropical volcano, catapulting into pools of blue water, and reconnecting with your family. *Your ticket also includes unlimited FREE PARKING at SeaWorld® Orlando, Aquatica™ and Busch Gardens® Tampa Bay. FREE coach transportation from Orlando to Busch Gardens Tampa Bay on the Busch Gardens Shuttle Express. This great value Orlando ticket package combines the Disney 14 Day Ultimate Ticket and the 3-Park SeaWorld, Aquatica and Busch Gardens Ticket and offers you admission to 9 fantastic theme parks for one low price! With the Disney & SeaWorld Parks Combo, you also get FREE Disney Memory Maker worth $199 with Adult tickets and use of the Disney FastPass+ system which reduces queuing time. Plus, FREE PARKING at SeaWorld® Orlando, Aquatica™ and Busch Gardens® Tampa Bay. FREE coach transportation from Orlando to Busch Gardens Tampa Bay on the Busch Gardens Shuttle Express. 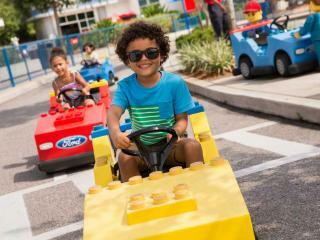 Enjoy fantastic savings on gate prices with our LEGOLAND Florida & SeaWorld Parks Combo Ticket package. For just £127, you can come and go as you please at any of the following Orlando theme parks for up to 14 consecutive days. This is a great option for families with young children.